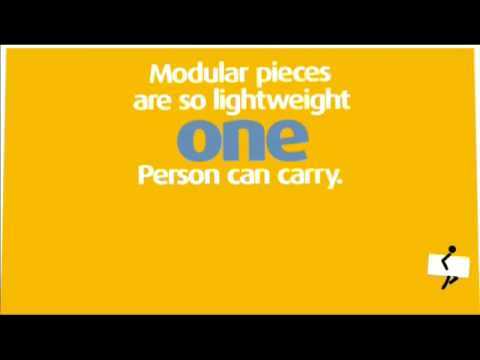 Modular design allows it to be moved around corners and through doorways with ease. Realistic tile wall surround features molded-in shelves for generous storage. Includes three Matte Silver grab bars (one 80011032-N and two 80001024-N) individually packed inside the wall set box. Four-piece modular design with pivot "snap together" installation. Compression-molded from our exclusive Vikrell® material.